A seven spotted ladybird dries in the late June sun of our garden, after emerging from the husk of its pupa. The colour of its wing casings is still to darken to a full adult hue. 7 spot ladybird, pupa. Bookmark. Very cool. 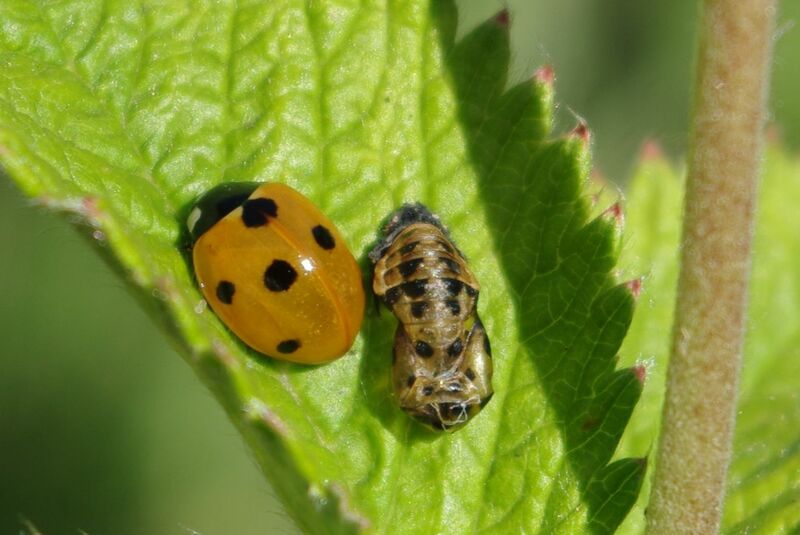 I would not have guessed that the pupa belonged to the ladybird (or ladybug, as we call them on this side of the pond).